An exhibition about prostitution in French art is sure to raise questions. Why were Vincent van Gogh and many other well-known 19th-century artists, including Henri de Toulouse-Lautrec and Pablo Picasso, so fascinated by this subject? Who were the women they painted? What are their stories? See beyond the painting. 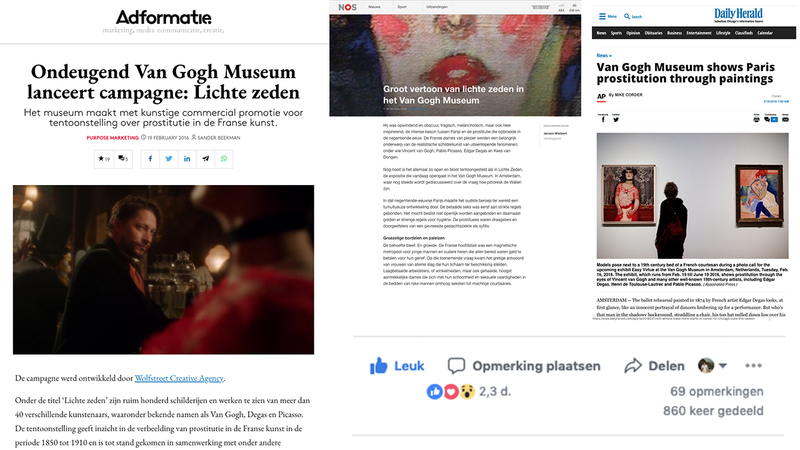 During the ‘Easy Virtue’ exhibition, the Van Gogh Museum offers her audience a bigger picture: a broader look at the stories behind the paintings and the time in which they are painted. Wolfstreet was responsible for the concepting and production for the leading campaign film.